Single track Maui mountain biking in West Maui. Variety of Mountain Bike Riding Terrain – All types of mountain bike trails are available across the island of Maui. With multiple micro climates and elevations ranging from sea level to the 10,000 foot dormant volcano of Haleakala in South Maui or the slightly shorter West Maui mountain capped by one of the wettest locations on earth, mountain bike riders of every level find bike trails suitable to their skill level along with plenty of variety and challenge. We live here and ride these Maui mountain bike trails daily! We are never bored or tired of riding on Maui! Accordingly, you can be certain you won’t run out of mountain bike ride options and opportunities to go mountain bike riding on Maui. From professional bike riders competing in the XTerra World Championship at Kapalua or mountain bike rides down the famous Skyline trail on Haleakala to single track trails in the defunct pineapple fields above Kaanapali to Kahana, mountain bike riders on Maui have all levels of riding in any kind of terrain available on Maui! The Best Mountain Biking Weather on the Planet – Where else can you find mountain bike trails with the diversity offered to bike riders on Maui? From tree covered shady trails winding through mountain forests in the Makawao Forest Reserve or on the PoliPoli mtb trails and an extreme downhill mountain bike ride down a volcano on the Haleakala Skyline trail to the single track bike trails through the pineapple fields above West Maui or in Kihei areas of South Maui, mountain bike riders have every kind of ride available in the climate they prefer! Easy to Get To Mountain Bike Trails – From beginner mountain bike trails to the some of the most advanced mountain biking available anywhere, Maui offers it all with everything in between without spending a day getting to the mountain bike trails! Even the Skyline trail for a ride down Haleakala, the most difficult to get to of Maui trails, takes no more than a few hours to reach. Begin early to combine a Haleakala bike ride with an amazing sunrise from the top of the world before descending on the Skyline trail. Maui roads are easy to navigate and make getting to the best mountain bike rides on Maui quick and easy! Bike racks are available for rent. Check out our Haleakala Downhill Special with the bike carrier and mountain bike rental combo deal! Easy Access to High Performance Mountain Bike Rentals – When you want to go mountain biking on Maui, you won’t need to worry about renting a high performance mountain bike. 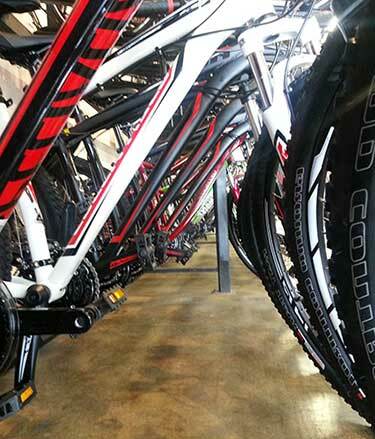 Our West Maui Cycles bike shop in Lahaina and a few other Maui bike shops offer a fleet of mountain bikes matching your favorite brand and type of mountain bike. Our performance mountain bike rental fleet features the full suspension Specialized Stumpjumper FSR 29’er and Specialized Stumpjumper FSR with 26 in wheels. For HardTail fans, our mountain bike rentals includes the Specialized Stumpjumper HT 29’er Comp mountain bike! Rounding out the fleet for less competitive bike riders but still plenty of technical mountain bike prowess, the Cannondale Quick CX4 Hybrid and the Specialized crosstrail bike rental are more than capable for riding the Olowalu Petroglyph trail and other mountain bike trails. West Maui Cycles bike rentals are available in a variety of sizes. Ask us and we’ll help you match a rental bike to your size and type of mountain bike riding. Use our online reservation system to ensure the mountain bike rental you want is available for your bike vacation on Maui! Maui mountain bike riders have no shortage of bike rental options. With all these great mountain bike trails available on Maui, you'll probably be hearing even more about Maui mountain biking! Use the comments below to share your favorite mountain bike ride on Maui! Ready to book a vacation to go mountain biking in Maui?